In lieu of flowers, donations can be made in her honour to the Royal Victoria Hospital Foundation. Sincere condolences to everyone in the family. Rosa will leave a big void in your lives but will always be there to guide and love you. 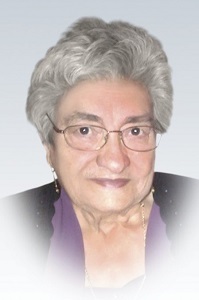 We will forever remember the wonderful friend she was, especially to my Zia Norina. Rosa, ora riposa in pace accanto a tuo marito e sarai per sempre nei nostri cuori.